Casa#111 is an excellent ground floor unit, that's VERY spacious! Nearly 1300 square feet! Close to the pool for easy access. There are new owners who own the property! Wifi! The community is good, I like the sea water pool. The community is on the west coast of the big island, we enjoyed the sunset on the porch, it was nice. The apartment is kind of old, will be better after certain maintenance work. I loved my stay with casa because it was clean every where. Very nice Lanai. Awesome saltwater pool! Barbeques​ready to use! Comfortable beds. Little outdated bathrooms but clean. Everything you need for a nice stay on the big island! It was a very nice 2 weeks holiday. The location is in good condition and very well equipped - we did not miss anything. A few things shold have been cleand better but maybe this was a single event. We would book this appartment again if we had to decide. Comfortable spacious has everything you need for a great stay! The grounds are beautiful, love the pools, bbqs and patio. Very laid back and quiet! Great price have stayed at the Casa 2 years in a row and will definitely return! Not a luxury property, but an amazing value. For our second stay at Casa De Emdeko, we chose unit 111, because we needed 2 bedrooms. This is the lowest priced 2 br unit in the place. It is a bit "threadbare" and can use some polishing up, but everything needed is there. Personally, I would rather save on the accommodation and spend on the fun. 2 VERY COMFORTABLE beds. A full kitchen with very sharp knives (this is a good thing). The kitchen needs more teaspoons, but that's a minor thing. The master bath could use a new shower head, but again... small issue. We love Casa De Emdeko, and the salt water pool. 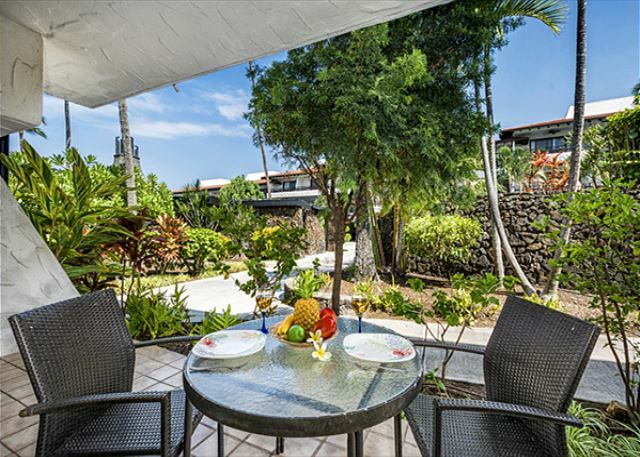 The grounds are beautiful and we love having coffee and fresh papaya for breakfast sitting on the lanai. We will be back, and will stay in this unit if we need 2 bedrooms. Our stay at Case De Emdeko in general was very nice and comfortable. The place was clean and had all the amenities including Air Condition with well equipped kitchen. Blake was very helpful in ensuring our stay was comfortable and addressed immediately couple of issues. The facility is close to ocean (200 feet away). We also had late checkout at 9PM for a nominal charge of $50. Facility is within 5 minutes driving to all the restaurants and shops. 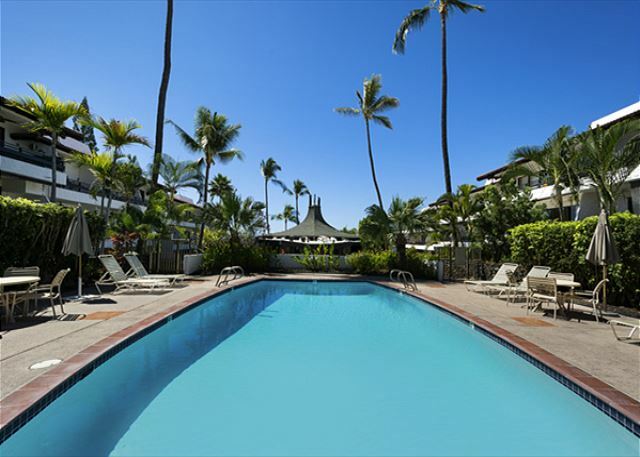 We would certainly plan to stay here when we plan to make the trip to Kona again. The Property Mangement is exceptional. Have also heard this comment from others! There is a large amount of quests who come back every year and we come also from Canada. Unit #111 is nicely decorated with everything you need and comfortable. Lots of room and great with 2 bedrooms and 2 baths. A very quiet Property. Lovely to return to Casa De Emdeko again. It's such a beautifully maintained property with a wonderfully relaxing feel. A great spot for the Ironman.